Japanese maples generally grow in zones 5-9a. They grow reasonably well in areas like northern Florida, but growing can be tricky by the time you reach the central 9b zone. Year-long warm temperatures can cause a lack in the dormancy pattern. Strong sunlight, dry winds, or salty, alkaline soil can make growing difficult. It is necessary to plant on the north and east sides of the house to shade from the scorching afternoon sun. You want to shade your tree from strong sunlight. Partial sun is best for normal growing regions, but a fully shaded area will be fine for growing in the higher zones. To help insulate your tree, cover with 3-4 inches of mulch, but avoid touching the trunk. Osakazuki– Has large leaves that are green spring and summer. They are well known for the intense crimson they turn during the fall. They can grow to 20 feet, but will stay smaller in warmer climates. Omato– Is very similar to Osakauki, but the color is somewhat less intense. Its a strong grower and resistant to sun damage. Bloodgood, Red Emperor, Emperor 1– These very popular varieties are what what most people think of when you say “Japanese maple”. They have that typical red leaf and can reach 20 feet tall. Fireglow-This smaller version of a bloodgood, only grows to 12 feet. Its gives off an amazing glow when the sun catches its burgundy leaves. Its size makes it a good container plant. Glowing Embers– This will grow to about 10 ft with young red leaves fading into a bronzy gold as the seasons change. Sango Kaku– The sango kaku is best known for its coral red bark that turns gray with the season. Green leaves turn to a yellow-gold. Its a fast grower and can reach heights up to 25 feet tall. Moonfire– Moonfires look more like a tree than a shrub. Covered in dark, black-red leaves, it will grow 15-18 feet. Oregon Sunset- This compact tree grows well in containers. In ground it will grow to 12 ft. Its red leaves deepen in summer, then turn an intense crimson in the fall. Beni Shi En-The name means“red smoke”. It is one of the few variegated varieties that grow in hotter climates. Its purple-red leaves are trimmed with gold highlights. This too, has a compact from that makes it a good container plant. Crimson Queen– This weeping deep red lace leaf grows in a thick, leafy mound to about 5 feet. Tamukeyama– A strong, fast growing variety, its thick leaves change from bright red to dark purple. It will grow to about 5 feet. Inaba Shidare– This plant will quickly grow to 5 feet. It boasts very dark,(red-black) foliage. Red Dragon– This small (4 ft) mounding plant has cascading scarlet-red leaves yearlong. Seiryu– The name means “blue-green dragon” It is the only true upright growing dissectum among Japanese maples. Green leaves turn to vivid gold with red highlights. This variety is very different from the cascading forms of other lace leafs. It can grow 12- 18 feet tall. Garnet– This unique tree is like a 6 foot upright, but has weeping red leaves flowing from the top. Red Pigmy– This wispy shrub has narrow, twisting lobes- red in the spring and turns green as the temperature rises. Koto No Ito– At up to 7 feet tall, it has green foliage that turns orange, peach and red during fall months. Shaina– This globe shaped bush has beautiful two-toned red, dense foliage. It will grow to 5 feet. Sishigashira- Its name means“lions head”. It has glossy dense, curled leaves that are deep green leaves into fall. In late fall, after most other varieties have begun to fade, it bursts into gold, rose and crimson tones. Sishigashira holds color well in heat. Shantung Maple– The Shantung is not a true Japanese maple, but the delicate leaves make it look very similar. Because this tough tree tolerates full sun, Texas A&M University designated it as a Texas Superstar Tree. This 25 foot tall tree has green and gold leafs with red flecks. The leaves turn to a stunning orange in fall. A grower in Texas used it to create the dwarf golden dragon (trademarked)- a smaller, hardy variety. Not sure which zone you are in? Click here to find out. I would love to be able to grow Japanese Maples. I live about 40 miles north of Houson, TX where it gets very hot and dry most summers and very little freezing in the winter. I do not have a lot of shade yet but am working on itl What would you suggest about the maples? I know that this was posted in 2014 and it is 2018 but I have found in zone 10 that if I use lattice covering and sprinklers that are turned up side down mt maples, orchards, and other shade lovers do really well. I water 1 min. in the winter per day and 3 min. twice a day in the hot summer. I use shade cloth in the sides and every plant is happy. I use bark on the floor to hold the water. Happy growing your green babies! Love the maples there so beautiful. Got 1 question about them at what height do you let them start to branch out?? generic jap. red maples?? These are beautiful. Can they grow in Phoenix Arizona? I can plant the shorter varieties under a tree or two that I have and the block wall will give them afternoon shade. But it does get amazingly hot here! Urrrrrrg! I’m not sure I could grow in Phoenix. It would really be a stretch and they need to be dormant. Move up to Sedona, I’ll bet they’d like it up there. Mike, what about Prescott AZ for growing the Sango Kaku? I get afternoon shade from about 1 pm on. But I’m having it planted on the NW side of house? All I can say is give it a try. If it starts burning just create some temporary shade until fall. Please put me in touch with sources that I can purchase the varities that could grow in south Fl weather. Look for Freund Flowering Trees in the Redlands, SW of Miami. They are way out west at the edge of the Everglades. My girlfriend and I would really like to plant a Bloodgood or Emperor 1 in Fresno, CA, but we’re worried about the heat. It would be the East side of the house, shaded from afternoon sun. What do you think? All I can say is give it a try. We have a member who grows hundreds of Japanese maples in Alabama so it’s worth a try. Hello, i just purchased a japense maple. its probably about 3 years old. I live in Tn and it can get hot in the summer. Should i just leave it inside my apartment or place it outside on the balcony. They seem to would like the inside since its shaded. any comment ? They need some sunlight, at least 50% and over the winter are much happier in the ground. Japanese maples should be fine in Oklahoma. I have a Japanese Maple that has always been in full sun, (maybe lucky) for 26 years. In fact I came to this page trying to get a idea on selling price for it, but actually found some interesting info I didn’t know about them. I have been getting seedlings and actually giving them to neighborsfor several years now. I have a Acer palmatum ‘Shishigashira’ Japanese maple tree that I purchased in New Jersey, and brought it back with me to south Florida (zone 9). I placed the pot on the east side of my home where I have full sun in the morning and shade in the late afternoon. Months later the leaves turned brown and I loss all of the leaves. Now I have only 2 leaves on the tree and a few buds that now look as if they are drying up. The stems are green at the base of the tree. What can I do to save my tree, it is my favorite tree in my garden? Thanks. First thing it would be happier planted in the ground, but zone 9 is going to be challenging. These plants need to rest over the winter and it won’t be able to do that in zone 9. But it sounds to me like it dried out in the container. Also it’s likely to need a bit more shade. They are pretty tough, but the sun is really hard on the leaves. Most Japanese maples love dappled sunlight. Thanks for your reply, I appreciate your feedback. I really don’t want it in the ground, but I did move it so that it gets more shade than sun. I realized that I made a error, I am actually in zone 10. What about fertilizer? I read that you should fertilize just before spring using Polyon 20-10-5. Also, any recommendations on prunning? Thanks again! I’ve never heard of that fertilizer so that concerns me deeply. The only kind of fertilizer you can use on a Japanese maples is a slow release like Osmocote. Any other fertilizer will kill the tree in less than 24 hours. That’ goes for all container grown plants. I live in zone 9a and all my Japanese maples go into dormancy by the beginning of December, regardless of the temperature. I suspect the amount of sun a plant gets vs. night, plays just as much a role into when they go dormant as the temperature does. I am seeing a ton of people posting pictures of their tree’s new flush of leaves, and all of mine are still dormant. I probably won’t see a leaf for another month, even though we have been having highs in the 60’s/70’s for several weeks now. You are right, sunlight changes in the fall will trigger dormancy but I wasn’t sure exactly how dormant they would go or how long they would stay dormant in zone as warm as yours. You taught me something, thank you. Great information Robert, thank you for sharing. We have been planting seedlings that goes up under our Japanese Maple for several years. Last few years around June they start getting dried looking spots on the leaves. It doesn’t seem to hurt the trees at all. We keep them for couple years before we sell them then repot in larger container. (We start with a one gallon pot then go up adding new potting mix in pot each spring). Every year they get the spots around same time. What are these small dried spots, we have them under a spruce pine tree for shade. They get morning and evening sun. Anything you know we could do to stop sporting, our bigger trees get too but not as badly. Two things. They could be from watering during the day if the sun is shining on the leaves when there are droplets of water on the leaves it can burn the leaves. Or it could be a fungal thing from too much humidity in the air, around the leaves. Letting the plants go to bed at night with wet leaves is another issue that could cause this. It’s actually pretty common. Sometimes they get powdery mildew which turns the leaves white. Again, too much humidity. I live in a small town 45 miles north of Orlando FL. Can you tell me about a nursery in central FL that has Acer Palmatum Dissectum for sale ? I want to plant one in my lanai at the head of a waterfall to my koi pond. The area gets afternoon shade and morning and midday sun. I’d like a variety that grows to 6′ tall and about 8′ in diameter. Thank you for your help ! I think you’ll have to call around locally and ask or order one online. I don’t know of anyone in that area that sells them. Many of our members, http://backyardgrowers.com/join, sell them, but I can’t keep track of who has what, we have members all over the country. My brother and I recently bought a red maple bonsai seed kit. We started it yesterday. We live in South Florida where weather can reach the 100s and go down to low forties high thirties. My brother and I plan to keep the tree inside where the temperature is 73-76 with low humidity and constant indirect sunlight. Is this a good plan, or should we move it inside?? Your southern Florida weather is probably going to be too hot for it outside, but Japanese maples are a deciduous plant and they need to go dormant for the winter and rest. Not sure how that’s going to work if your tree never experiences cold weather. ????? Sorry, not much help I know. I have a ton of shade in my yard. I live in central san antonio tx. I am looking for a yellow color – the weeping variety and maybe even a shantung for in the sunny part by curb?? I was looking up the shantung but what i found was a zone 5 and san antonio is a zone 9b correct? What varieties would you suggest? One area that I am thinking of is in front of my windows next to house and I’d like a little mini maple forest…staggering the heights of the plants. Thanks! I’d appreciate any ideas. Theresa, please check into Metro Maples, in Fort Worth. I’m sure you can grow a Shantung in your zone, with correct planting and cultivation. Hi, I’m in Zone 8a (Atlanta) and would like to plant a “Sango Kaku” in the front yard. The spot get about 7 to 8 hours of sun during the summer and mostly afternoon sun. Would the maple do well since it does get pretty hot here? Thanks! Sango Kaku would be a good choice for you, the leaves of this variety do hold up better than most in sun. I say give it a try. Hello, I live in Lafayette, LA which is southwest LA, zone 9a. I have two Japanese Maples, a Bloodgood and I believe the other one is crimson queen. They are about 8 or 9 years old. The Bloodgood is now about 12 feet tall. Both were beautiful until the flood happened in August. The backyard had about a foot and a half of bayou water which took about two weeks to recede after the rains stopped. The leaves on the two trees are crispy brown. Apparently bayou water is worse than rain water. My front yard is green but the in the back yard the grass and boxwoods, the maples and several other plants are all brown. I will remove all the boxwoods but don’t know what to do about the maples. Is there any chance they might come back in the spring? Or, do you think they are dead. Thanks for your help. Sorry to hear of this. I’m the the Bayou water would have been okay had it receded sooner. Your plants suffered from a lack of oxygen and chances are they are not coming back. This is how you test to see if a plant, or a branch on a plant has died. Just scratch the bark of your plants with your finger nail. If the tissue below the bark is green and firm your plants are fine. If the tissue is brown and mushy that part of the plant is dead. Hi, I did as you suggested. One branch showed a whitish color and was firm. Another was brown and firm–no green. A couple of months have gone by since the flood; maybe that is why neither branch was mushy. Thank you for your help. I am interested in growing some Japanese maples mainly as a source of income not necessarily to grow in my own yard. I live about 20 miles north of Houston , Texas with plenty of shade , a green house And soon a shade house. My primary target is for customers would be people who live in areas where they grow well. My concern is, if I purchase a tree to use as ‘cutting’ mother, am I in too hot an Invironment to successfully grow these trees to sell and would I be successful in being able to germinate seeds? Which species of maple are posssible to grow in hardiness zones 9- 10 of india. The only ones that I know of are those list in this article. The quality of soil at your other property will determine whether or not this is feasible. Maples and other ornamental plants require a soil that drains well and breath. Clay is only going to create a great deal of frustration. Beyond that choose varieties rated for your zone. The one you have sounds awesome, I too wish I knew what the variety is. But thee are over 1,000 different kinds. Did you ever figure out what would grow well in full sun? I would love to have a maple tree in Tucson, Arizona. ..is it possible? All I can say is try. Buy a small one, plant it in a shady spot and hope for the best. Get a variety that does well in hot climates. Can I use treated wood (waterproofing) to build a vegetable garden bed? Many online will tell you no, don’t do it. So I can’t tell you that it’s safe because I honestly don’t know. I’d contact the manufacture of treated would to see what they say about it. Hello, can I plant an Emporer maple in La Mirada, California in full sun? It can be very intense heat. 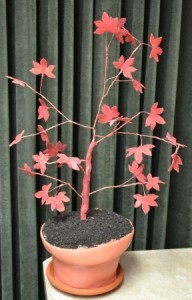 is there any Japanese maple that has red leaves that can withstand the intense heat? Also, how can I figure out why my Blood good leaves will not pop out. I planted it in a barrel in the fall. It actually started to bud and then the buds dried up. Thank you. It could be too hot where you are for an Emporer 1 but if you could give it some shade it might be happy. The Japanese maple in the barrel sounds like it might be too deep in the barrel, too much soil over the roots, or just plain too wet in the barrel. They do not like wet feet. Mike, I am new to gardening, however, I have NOT had any success in growing red Japanse Maples. I’ve tried bloodgood, laceleaf and all have died! I live in Oklahoma zone 6 or 7 anyway I am trying again. I would love to plant in my front yard which will be faceing the south, yet, It will get the east & mid sun but mot evening. It will also have mature tree shading. My others where planted on the north & west side under a huge oak tree and still passed on! Do you think it could handle the hot mid afternoon sun? Where is the best place to plant any tricks I should know about when planting in ground besides depth, width & mulching (not touching bark)? Is it okay to trim crossing branches? Any tips on pruning them? Yes, they should do fine for you, yes trim branches all you want, they need pruning. Three things kill them, a hole that is too wide and allows too much water to enter and no way for the water to get out, planting too deep, root crown should be at least one inch above grade, mounded, over watering will kill them really fast, soil should be cool to the touch, slightly damp, not soaking wet. 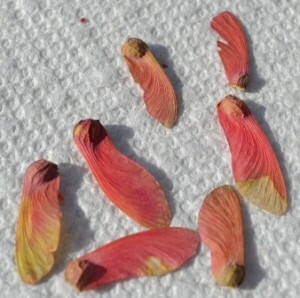 Fertilizer on a Japanese maple can be lethal. I never fertilize the plants in my landscape. I don’t think so as long as it’s not really small when you plant it. A 4′ tree or larger I think would be fine. I live right up the road in Chapin SC, and have 2 Emperor 1’s that I bought locally from a garden center. They are going on their 3rd year in the ground with full sun almost all day and are doing great. Emperors are one of the most sun and hot climate tolerant varieties. Mulch well and water religiously, especially the first year. I live in Colombia. My hometown is at 1000 meter above sea level. Temperatures are quite high in two seasons a year. The other two seasons are rainy and temperatures fall a little to bring about a fresh climate. I have planted maples and they did it well if properly(not excedingly) watered and planted and a well drained soil. but I had to “winter” them in the fridge, wrapped in a plastic bag in the fridge for 2 months. This mimic winter let them mature buds and 3 weeks after they are back outside they sprouted well. All potted plants are a little bit vulnerable to the weather conditions so you better move here and there so provide it enough sunlight but not to get tanned at the beach. When watering, it´s better to provide not much water and see. If would need more, you can add it. But above all, avoid root rotting. Rain water also is better. Tap water from city water supply is hard and it´s a long term menace to them. Good luck. I live in the 9b (33543) part of Florida. I’m curious to see if I can get a Japanese Blue Maple (supposedly) to grow here from seed. Now, this is my first attempt at growing anything, so I thought a tree might be a good start. Seeds should germinate after cold treatment, see the article on this site about growing from seed, then lots of shade.